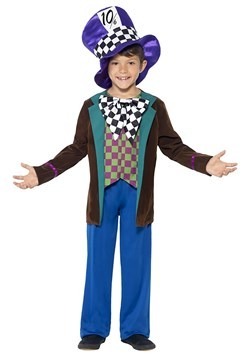 From the pages of Lewis Carroll's famous Alice's Adventures in Wonderland storybook, to the beloved Disney movie, Alice in Wonderland, the Mad Hatter has made his mark amongst children all over the world. 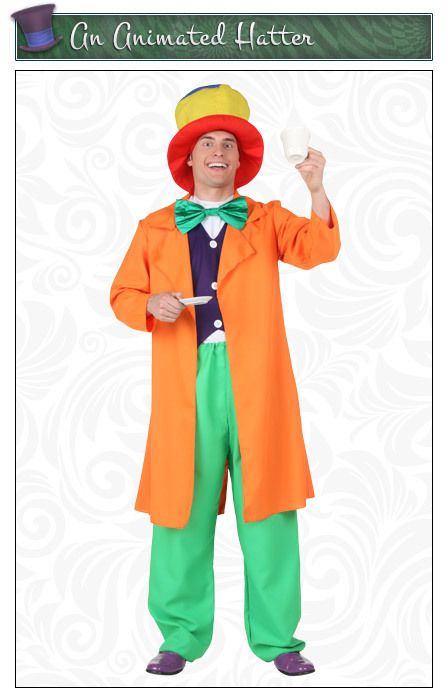 With one of our many Mad Hatter costumes, you too can be the kooky tea party host of Wonderland. 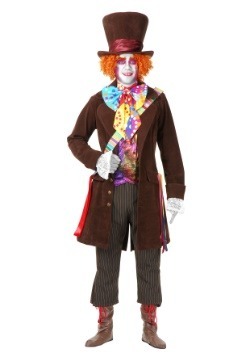 Choose from a wide variety of styles and sizes from all different kinds of interpretations of the classic character. 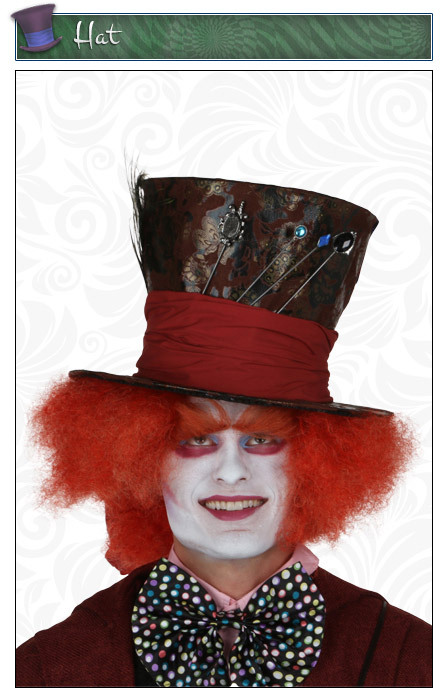 If you're a fan of the Hatter's creativity, take a note and choose a womens Mad Hatter costume for a twist on the original character. 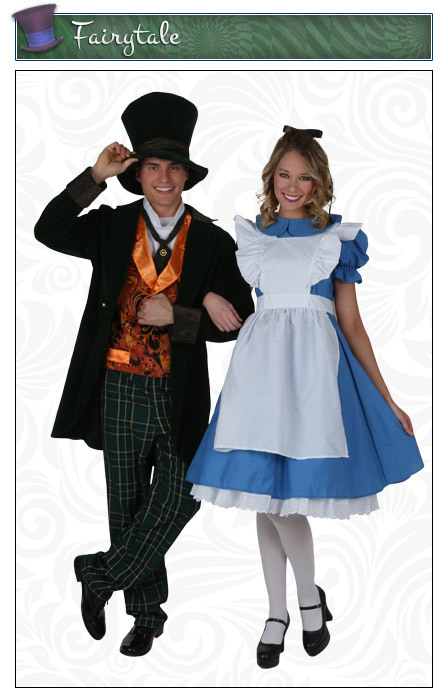 Pair one of our Mad Hatter costumes with one of our other Alice in Wonderland costumes for a great group or couples theme! 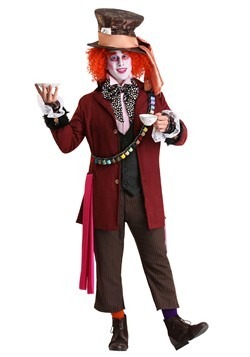 But you'll have to provide your own Unbirthday Party tea... might we suggest a nice Earl Grey? 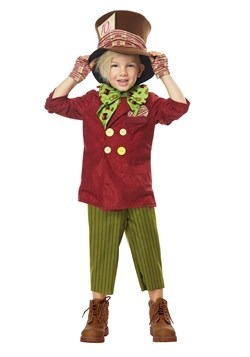 There are so many options for portraying the Mad Hatter from Alice in Wonderland. 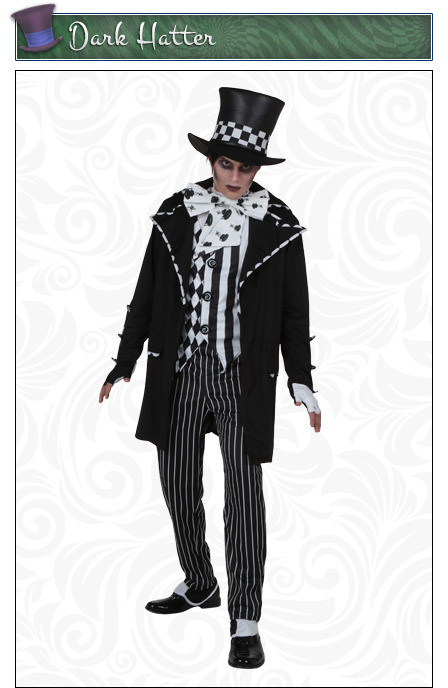 In addition to the many styles of costumes, there are lots of ways to pose while in character that will enhance whichever option you choose. 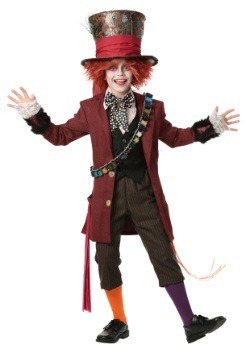 From the sophisticated charm of the being the original storybook version, to the whimsical look and mannerisms of the cinematic Hatter played by Johnny Depp, no matter your personality there is a version of the Mad Hatter that is sure to appeal to your own unique self. 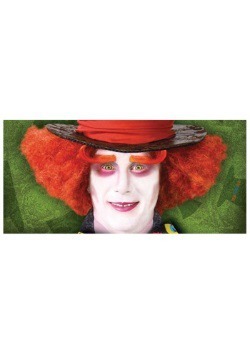 The Mad Hatter in the storybook Alice's Adventures in Wonderland was unable to ever escape tea time. 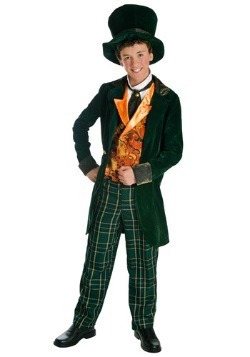 He made the best of it by entertaining his guests with clever riddles and keeping things lively. Raise a tea cup, pinkie finger out and toast your guests. 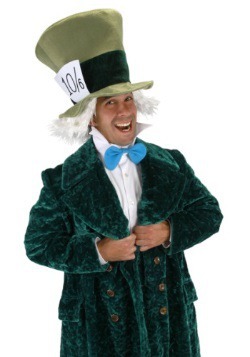 The animated version of the Hatter was an over-the-top adaptation of the popular storybook character. All of your movements can be more outrageous and excited than you'd normally do. 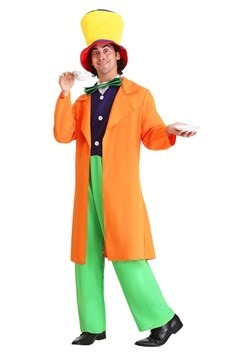 In this brightly colored costume, you'll certainly get your tea party guests' attention! 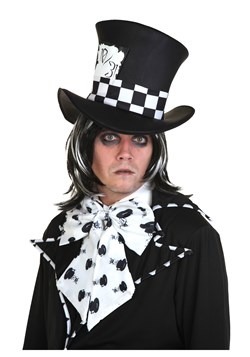 Perhaps when you think of the Mad Hatter, the image made famous by Johnny Depp in Tim Burton's live action adaptation is what comes to mind. 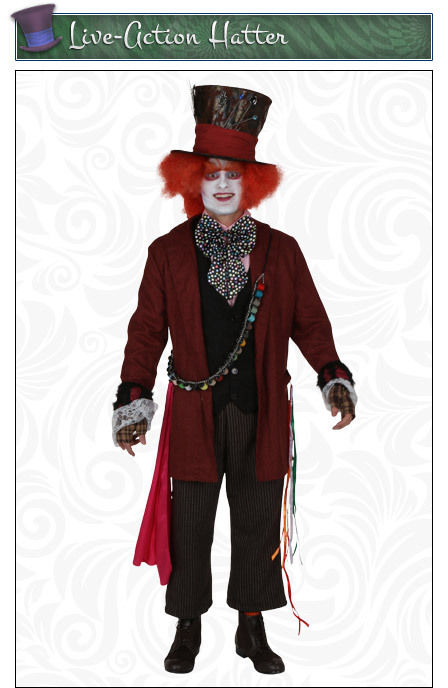 To take your elaborate costume to the next level, make sure to behave as someone on the verge of going mad. 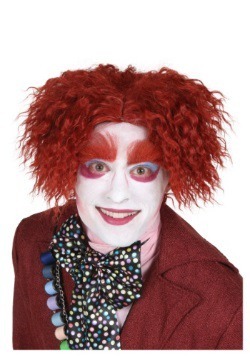 Maybe you'd prefer to show the more sinister side of this fairytale character. 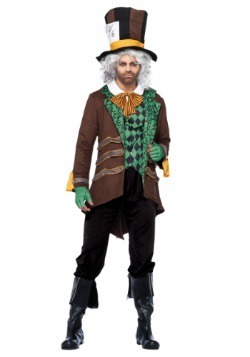 To pull off this dark Mad Hatter look, the key is your facial expressions. 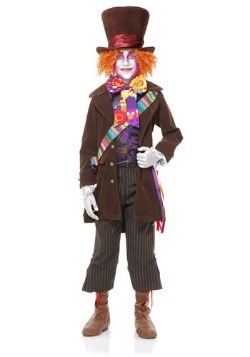 Stick with scowls and a furrowed brow to convey a bit more angst than one would normally expect from the Hatter. 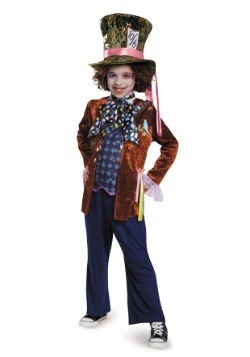 The Mad Hatter is such a popular character that womens costumes have become best sellers too! 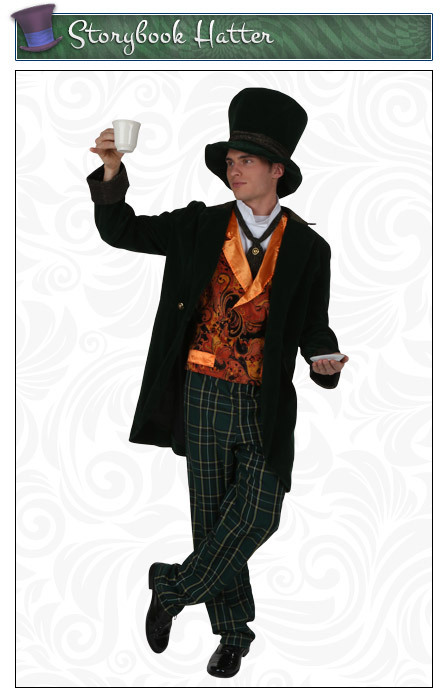 This whimsical tea party themed Mad Hatter costume is covered in tea cups and is perfect for portraying a playful version of the Hatter. 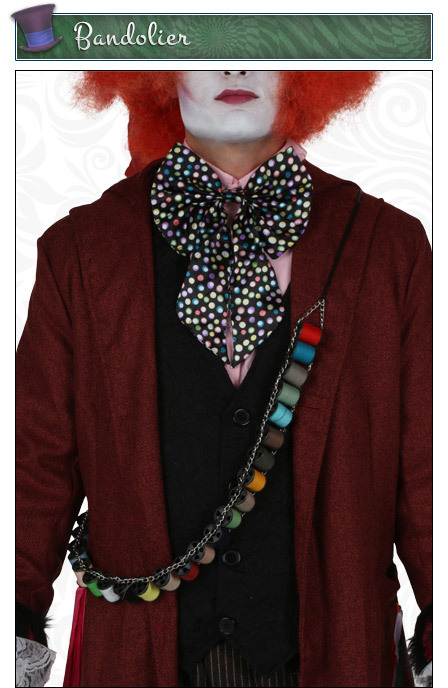 If you prefer a more sophisticated Mad Hatter look, this Marvelous Mad Hatter costume has more vintage inspired pieces and paired with our exclusive bandolier accessory it really pops. 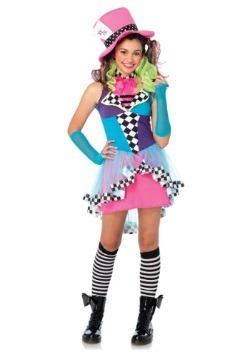 Be serious, or flirty, this outfit lets you add your own personality. 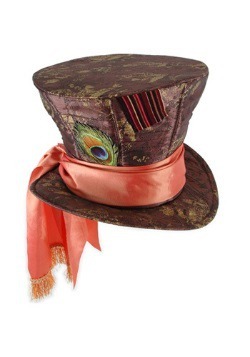 Making the most of your Mad Hatter look is all about paying attention to the details. 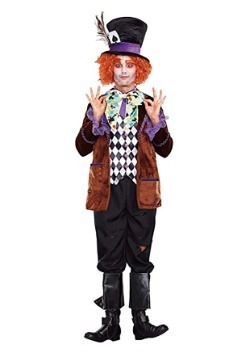 Whether you are choosing to portray a traditional, storybook version of the Hatter or want to look more like the cinematic version, make sure to include these essential pieces for a polished sheen of madness! 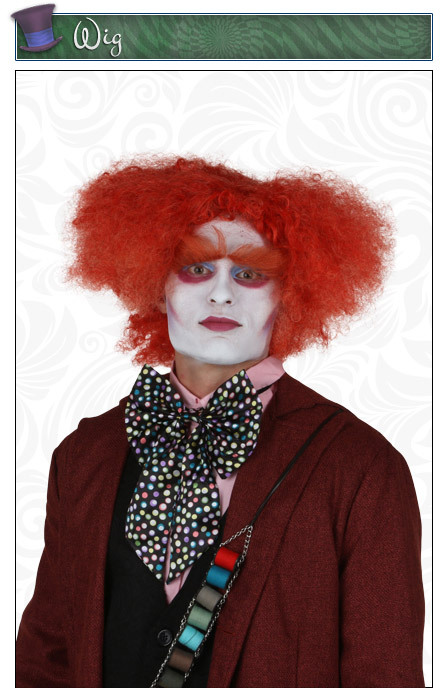 Not only do accessories enhance your costume, they serve as a way to set your look apart from the rest. 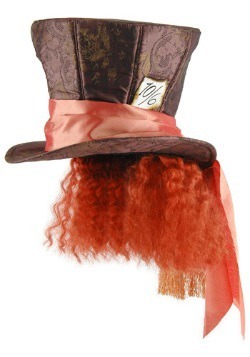 If you are a Tim Burton fan, then you'll understand that this curly orange wig is essential to achieving a true Mad Hatter look based on his hit Alice movie. 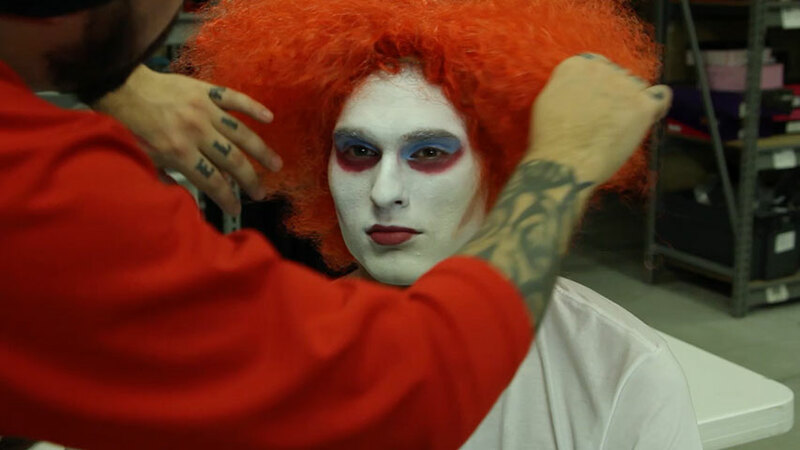 Be sure to do your makeup first, then add the wig to top it off. 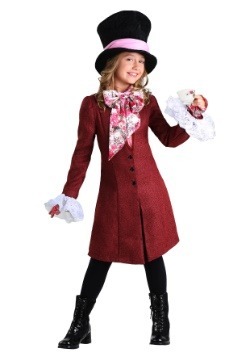 For the live-action look, having an oversized top hat that's styled to look like you found it in a local vintage shop is ideal. 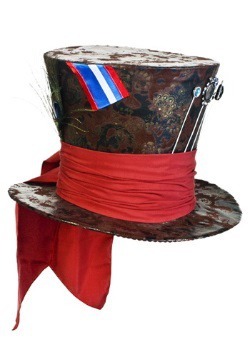 Sure you could try digging through piles of dusty old trunks in grandma's attic looking for a unique hat, but it's much easier to get this one: it can be delivered right to your door! 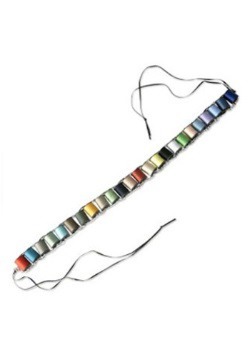 This exclusive thread spool bandolier accessory adds just the right amount of detail to complete your look. 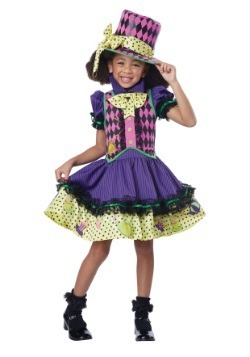 It can be added to men's, women's and children's costumes! Want to go all out? 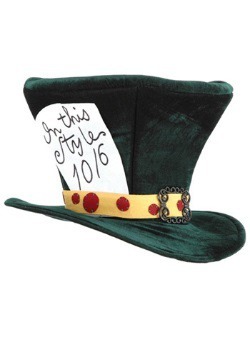 Add a set of officially licensed Mad Hatter hat pins to your hat! 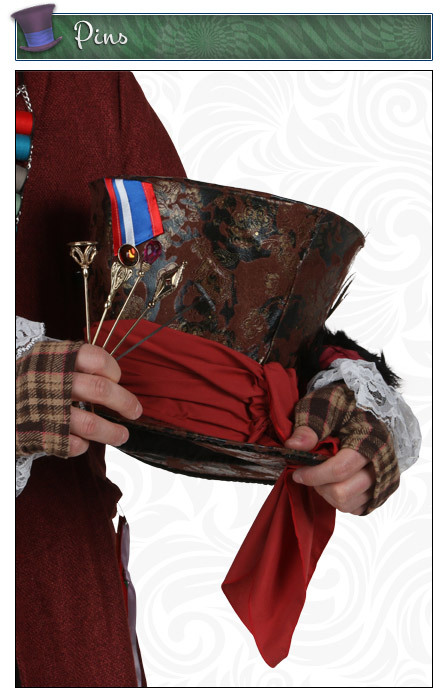 If you are someone who likes to get your costume correct down to the last detail, these are essential for your Hatter look. 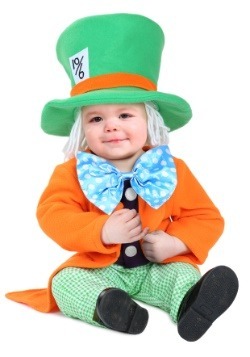 Wearing a great costume is always twice as fun when you have someone to wear one with you! 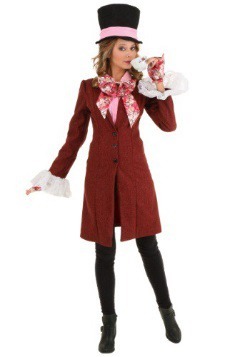 Just like there is more than one way to look like a Hatter, there is definitely more than one way to look like the perfect Alice in Wonderland couple. 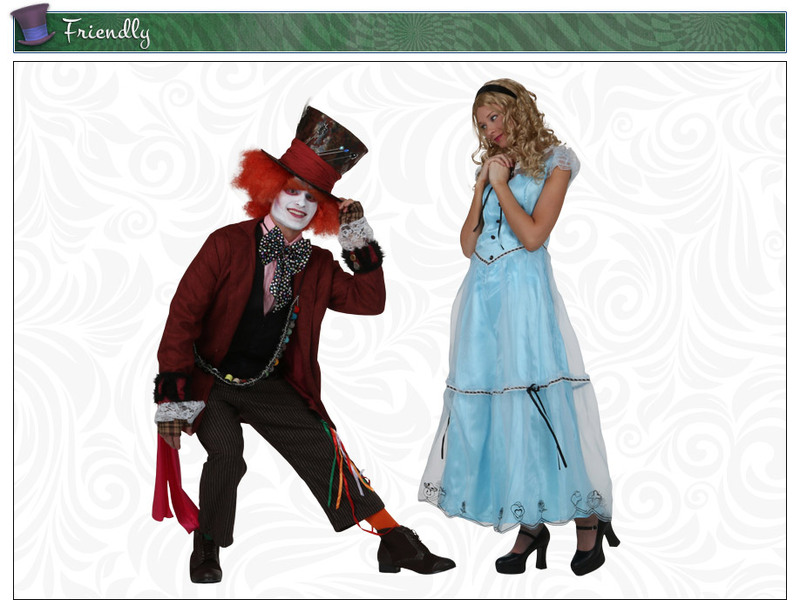 You can create a fairytale look inspired by Lewis Carroll's story. 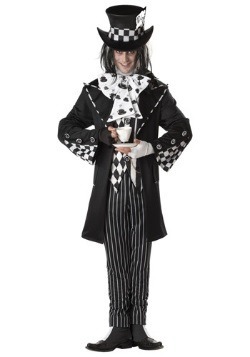 Or go goth with our dark Mad Hatter and dark Alice costumes. 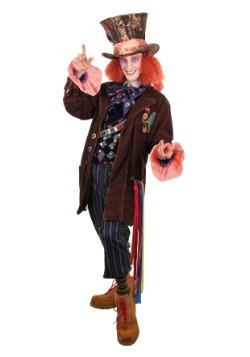 And let's not forget what a magical couple the Hatter and Alice made in Tim Burton's adaptation. Choose the style that fits your personality or mood! 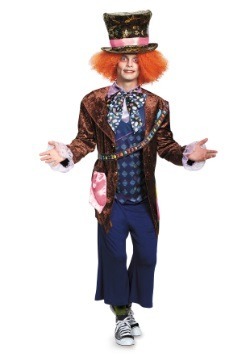 If you are looking for a quintessential Mad Hatter and Alice combo, these exclusive costumes are the way to go. 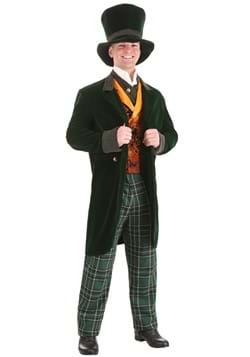 This handsome Hatter look includes the paisley vest, plaid pants and oversized green top hat for a complete look. 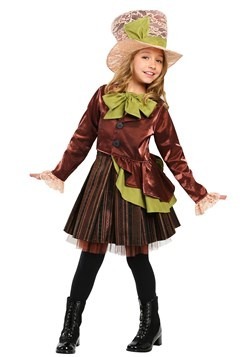 Both costumes come in many sizes, including plus sizes, so everyone can bring this fairytale look to life. Maybe you don't believe in happy endings. 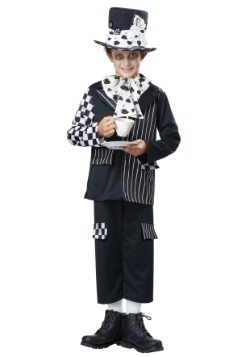 Or maybe you're just not in the mood to smile at your next tea party. 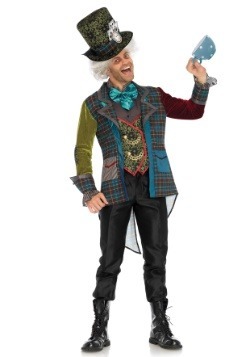 Either way, you don't really need a reason to justify this dark Mad Hatter and Alice couples look. 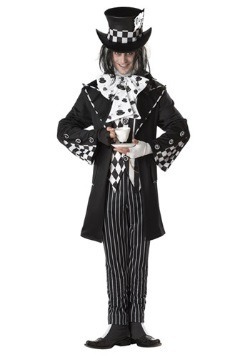 It's a bold take on these classic characters that will make you the hit of any party. 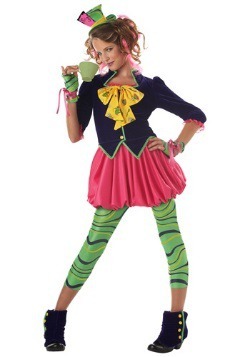 Perhaps one of the most popular and stylish, ways to portray this Alice in Wonderland duo is with the costumes inspired by Tim Burton's Alice movie. 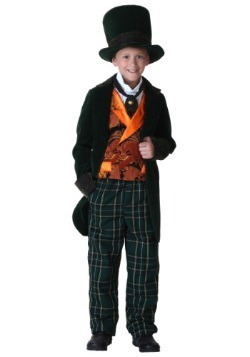 This film took liberties to update the looks of these iconic characters and the costumes became instant classics. 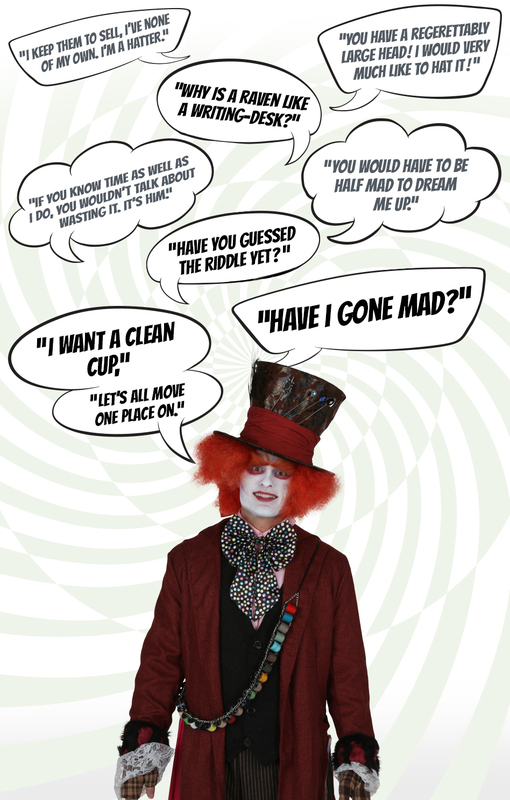 We maybe didn't always understand exactly what the Hatter was thinking or doing in this film, but it was clear that he was friendly and motivated to help others avoid suffering. 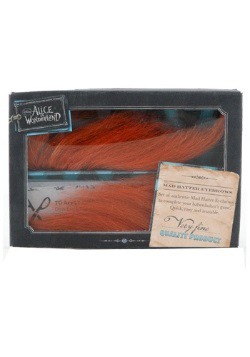 No wonder Alice cared for him so much!